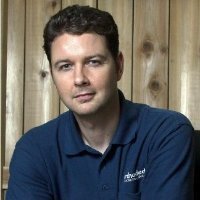 We supplied and installed low maintenance TimberTech Terrain composite decking on the lower deck, stairs, and bench. 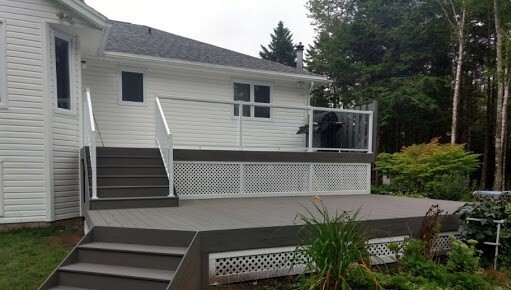 The homeowners chose a grey decking material. 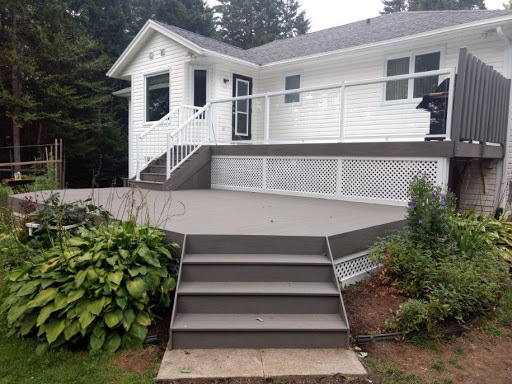 Duradek, a waterproof membrane was installed on the upper deck using a 60mil Ultra Supreme Chip Duradek material that the homeowners selected in a granite color. This system includes all related accessories such as drip edge flashing, pvc clips, and caulking. We reinstalled three sets of stairs off the deck. 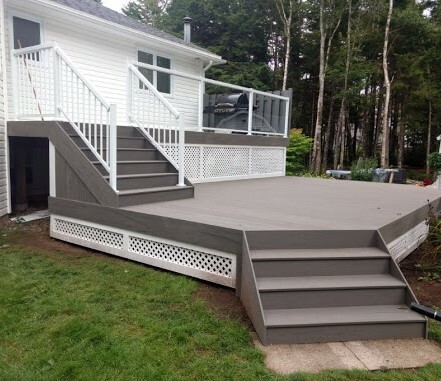 The raisers for the stairs were designed to match the low maintenance decking. 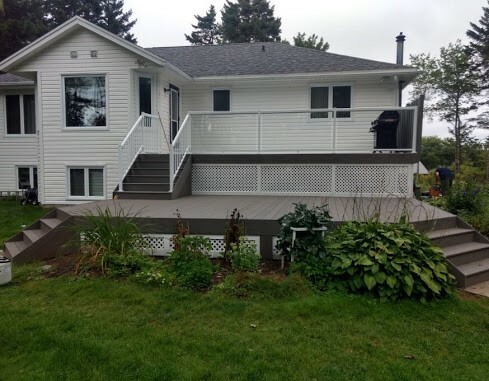 Additional features of this project include a deck bench using 2×4 framing and installation of TimberTech Terrain composite decking for the bench based on the homeowners existing bench size. Also, a removable hatch was installed on the lower deck to allow access to the septic tank.